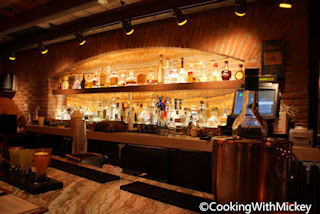 La Cava del Tequila will be featuring specials for those attending the Foodie World Tour! La Cava is the first stop on tour and will be a great way to kick things off. Aljon, host of WDW Tiki Room and Jeff, host of DW:60 on Sorcerer Radio will be joining me for this full day of events. For those who seek adventure... join Aljon and Jeff as they dine on drunk worms and scorpions. Me? I'll be sampling the wonderful tequilas or having a Hibiscus Margarita. Did I tell you that they have wonderful drinks? Well, they do! When: Wednesday, October 19th at 12 p.m.
Hilda Castillo, the tequila ambassador for La Cava del Tequila will also be around that day. So don't miss out on this great event! For those planning to attend please R.S.V.P. by email to Kristen or on Twitter @cookingwmickey.